A true-crime writer with a crumbling career moves into a new house with his family. But besides him no one knows that their new home used to be a crime scene. With film footage he finds in the house he tries to recreate the events and write a book about it. But soon he notices strange things happening around him. Did he bring his family in danger? 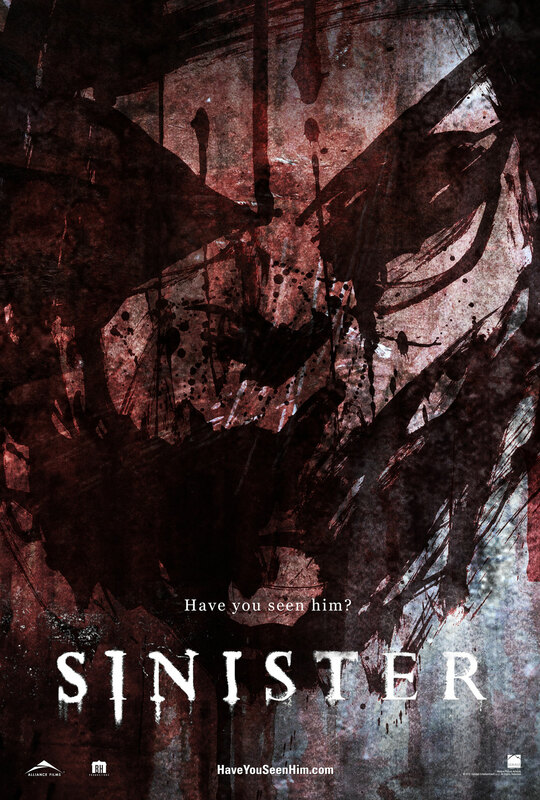 I have only seen a few movies that make a whole movie theater scream and Sinister was one of them. You are completely sucked in into this very unpleasant atmosphere and can’t turn away from this horrible ride. We are not bombarded with splatter effects, all we get is a disturbingly real atmosphere, music that let’s your heart beat faster and an incorporation of found footage material that seems shockingly authentic. The only issue I had was the ending. Even though it was unexpected, I still can’t decide whether I liked it or not. I am glad to see that low- budget movies seem to be succeeding more in their deliverance lately than over the top blockbuster movies. We go back to the roots, and I love it. Make sure you are not alone when you watch it. That’s all I can say. Great post, I certainly want to see this now. A lot of my friends love this movie! Since you reviewed it, I have to check it out! It’s not as freaky as I would have liked it to be, but with a moody atmosphere, it still delivers the goods on being scary in the right way a horror movie should. Great review Simon. Thank you so much. I agree, I was freaking out when I saw the trailer, then after seeing the movie I was a bit disappointed, but it kept the dark atmosphere without adding unnecessary comedic moments. Thanks for commenting, I appreciate that!